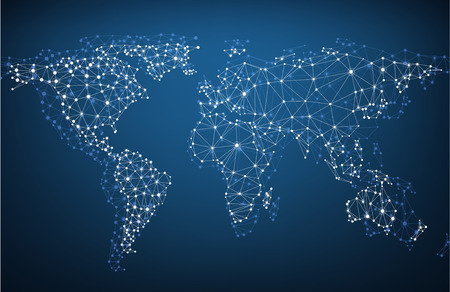 Global network mesh. Social communications background. Earth map. Vector illustration.